Are You a Mid-Size Retailer Looking For a Solution To Pull It All Together? 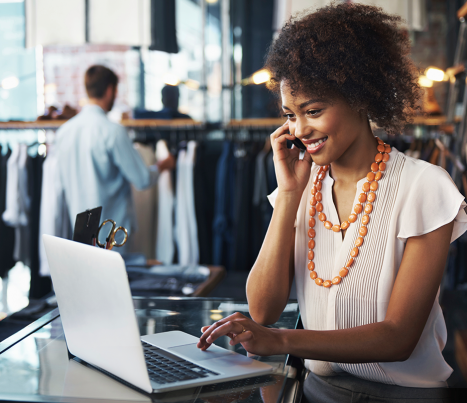 Being nimble enough to adapt and succeed at the speed of today’s shoppers requires software tools designed to fit each retailer’s unique requirements. Retailers need an omnichannel order management system designed to conform and adapt to the way they operate. Not the other way around. That’s why SalesWarp Advantage delivers tangible results and rapid return on investment, where others fall short. Our high-performance software easily conforms to the way a retailer truly operates, enabling automated and custom workflows, multi-channel orders, routing, and syncing. SalesWarp Advantage presents real-time visibility into every order — and all inventory available, at every fulfillment location. The solution’s built-in intelligence determines optimal pricing and fulfillment options, eliminating time-consuming manual tasks while ensuring optimal profitability. Hosted in a private cloud, SalesWarp Advantage provides unparalleled flexibility and scalability. During peak sales periods, retailers running their operations with SalesWarp Advantage are ensured best-in-class speed and continuous system up-time. And that means no lost sales, and keeping customers satisfied. To learn more about SalesWarp, call us or request a demo today!